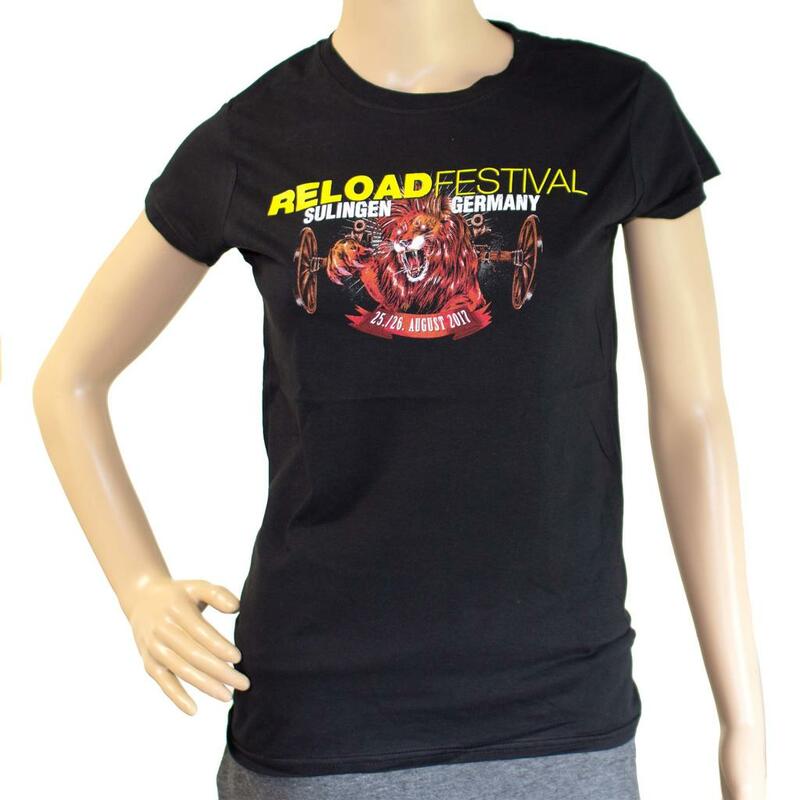 Here comes the official Reload Festival 2017 Lion Girlie shirt. 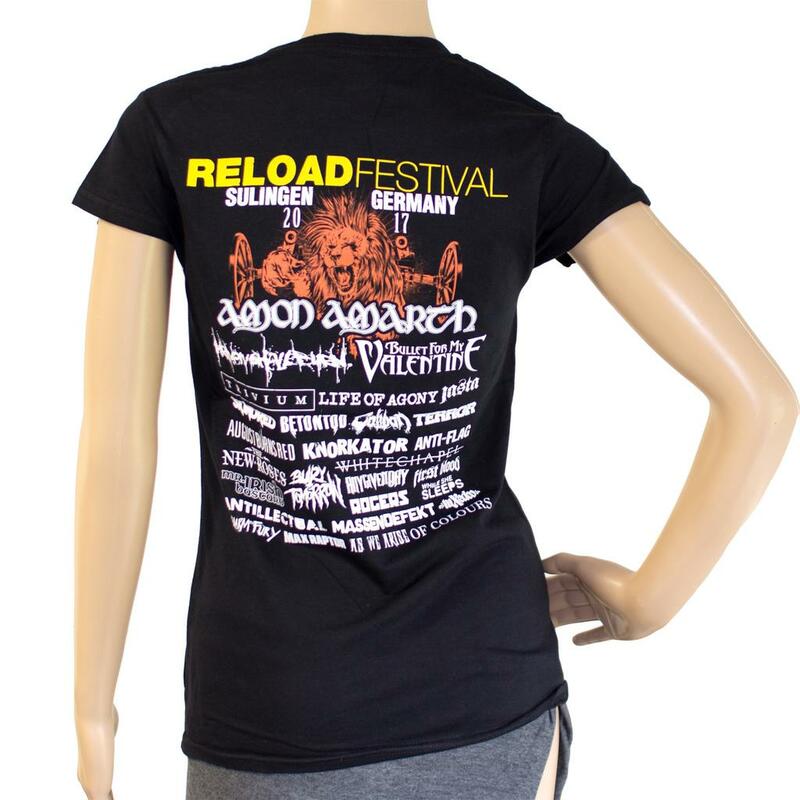 With the colored Reload Festival-lion logo as frontprint and an extra-large Reload Festival 2017 logo and line-up as backprint it is an absolute eycatcher. 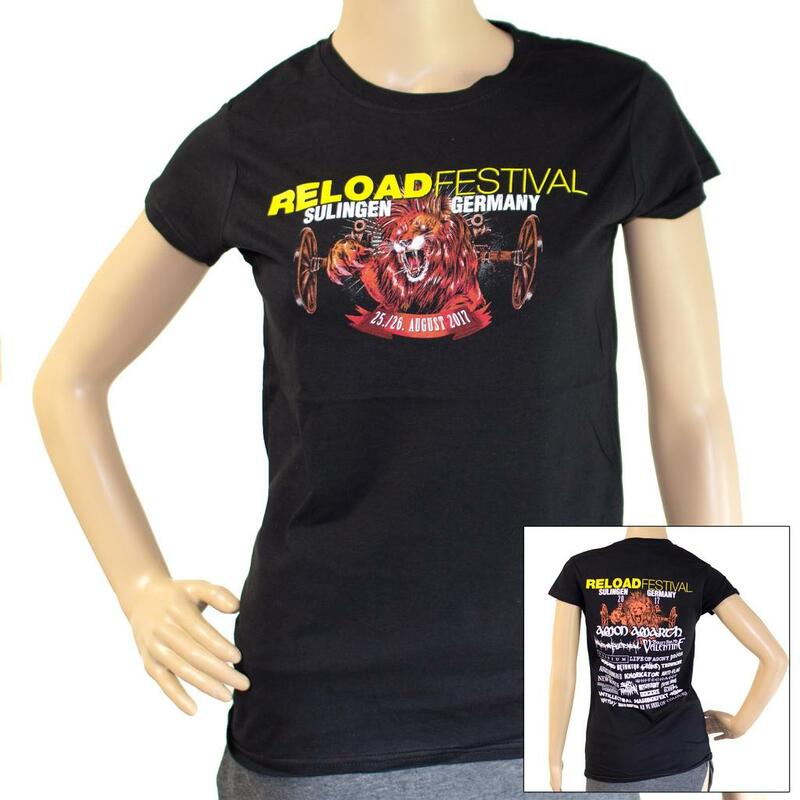 It has a small waisted cut and is made of high quality ring-spun cotton.